We are Your connection to world-class Costa Rica Sport fishing and Eco-tourism!. Flat calm waters off Central Pacific the coast Los Sueños is recognized by some of the most spectacular fishing in the world. Designed and built by fans of sport fishing, Mirena now provides the home port of Sport Fishing throughout this remarkable extension of the Pacific waters Visit Here to Rent a Condo in Los Suenos, Contact us if you need a Helicopter Charter to take you from San Jose down to Los Suenos Marina. Take advantage of Fishing Experience many years of experience and come fish with him on our Fishing Packages." Whether you’re a hard-core angler or a curious beginner, you’ll have the knowledge and resources of an excellent fisherman. 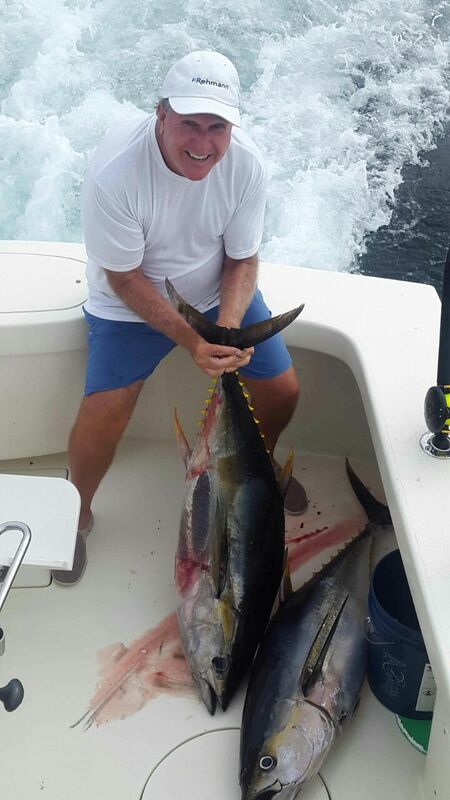 He’s a veteran of the seas, and he’s sure to give you 110% Visit the Central Pacific and get know more about Los Suenos Fishing, We have more than 40 Boat ready to go. Located in central Pacific site of Costa Rica "Gold Coast" Herradura Bay offers anglers the best places for fishing in Costa Rica and Central America. We are conveniently located in Jaco Beach, just 1 hour from the Juan Santa Maria airport" San Jose." Our little town offers local and international dishes, shopping, elegant and casual dining, surfing, hiking, horseback riding, mountain biking, and canopy tours, Booking For Bachelor Parties in Costa Rica and more, also during the visit Jaco Beach.